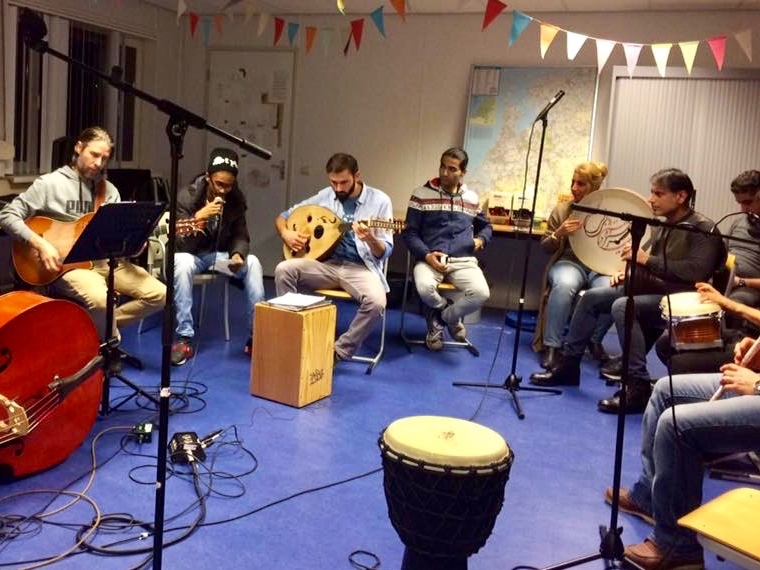 Orchestre Partout organises music workshops in refugee centres Amsterdam and Heerhugowaard. Professional musicians give weekly lessons in guitar, piano, percussion and vocals. As soon as participants reach a solid basic understanding of music, they are invited to join in band rehearsals and concerts. Orchestre Partout’s activities are for all inhabitants of the refugee centre. Anyone can participate. Passion is as important as talent. 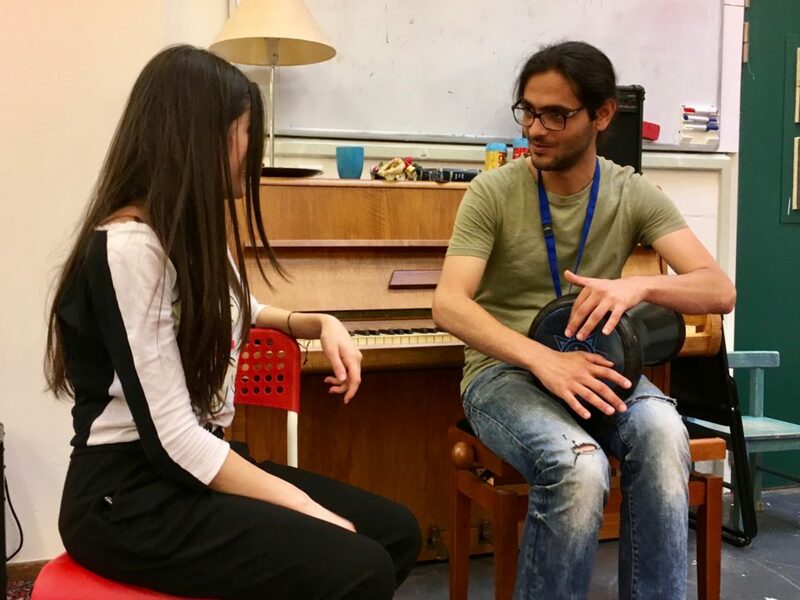 The music workshops are a lively and creative meeting-point in the refugee centre. 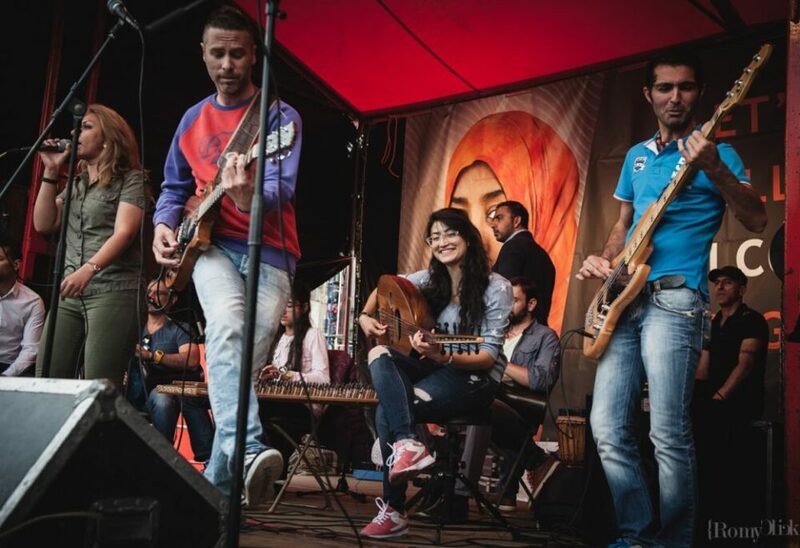 In an environment full of Babel, music overcomes any language barriers and offers a universal way of expression. Orchestre Partout has an inclusive approach. Participants as well as professionals come from different cultural backgrounds. Some of them have come as refugee themselves. Besides professional musicians, peer-educators help out to teach the less experienced, and coach them during performances. We offer general music lessons as well as more instrument-specific lessons. 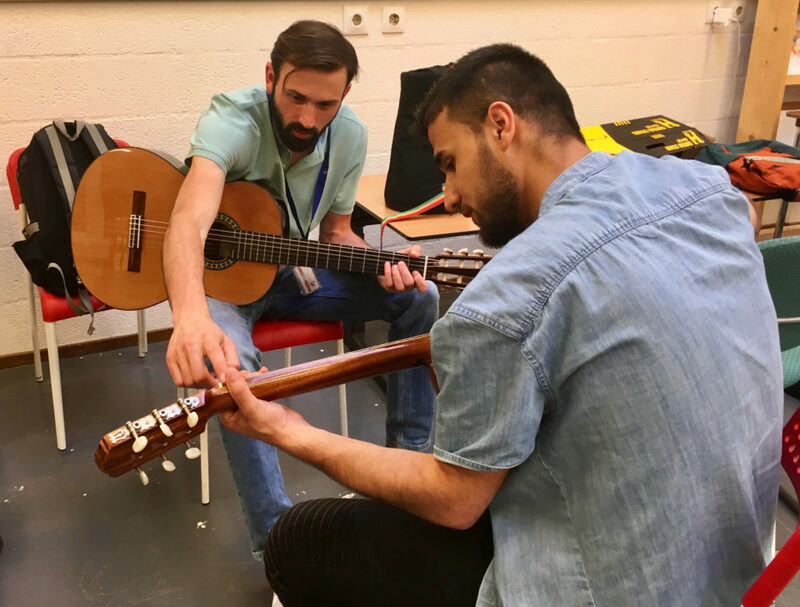 In our weekly music lessons we teach guitar, piano, percussion, bass, saxophone, ud and vocals, and sometimes for those interested music theory. We sometimes invite specialist teachers on a specialist subjects. All activities are free of charge. We offer comprehensive, tailor-made workshops, as skills and needs vary a lot. The workshops en lessons have a very flexible setup. Lessons may start with just a few people, summing up to 15 or more. The door is always open, and guests are welcome. All participants put in their favouritesongs. For every new song a new arrangement is made, so all can play it. Thus, bandmembers also play song they don’t know, in other musical styles then their own. By doing so we create new exiting musical cross-overs. Most participants do not read music-scores. Language may be a problem at times. But by playing and listening a lot, all learn to master the various musical styles. Orchestre Partout plays 40 to 50 concerts per year. The variety of venues is enormous. 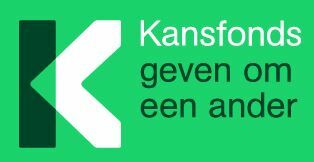 We play in community centres, bars and festivals, as well as renown concert halls such as TivoliVredenburg, Paradiso or Muziekgebouw aan het IJ. Sometimes concerts end up in an open stage, giving room for people in the audience to bring their songs. The band is an organic entity, people come and go, we sometimes play in a very small, intimate setting, to show up the next time with a very large big-band. All depends on the character of the event and the amount of audience.